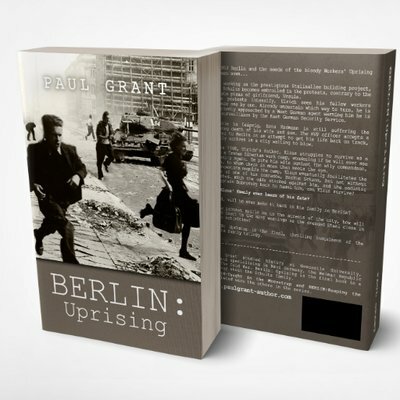 Post-war Berlin is the epicenter of Paul Grant’s third entry in his fine trilogy, Berlin: Uprising. Change is happening in Germany, even after the relentless upsets of World War II and the Russian “liberation” and occupation of Berlin and much of the country. Berlin: Uprising stands on it’s own, but getting your hands on the self-published Berlin: Caught in the Mousetrap and Berlin: Reaping the Whirlwind will pay dividends. Two timelines play out in Uprising. In 1953 the first rumblings of what would play out as the Worker’s Uprising are taking place. Ulrich Schultz, his girlfriend Ursula, and assorted friends and co-workers attempt to find their footing in an evolving society. Protests seem like a good idea, change appears to be on the horizon, until the government takes the kind of action an authoritarian state of the era finds appropriate. Add to the mix West German spies and the East German Security Service, and a noir atmosphere invades the story (and their lives). 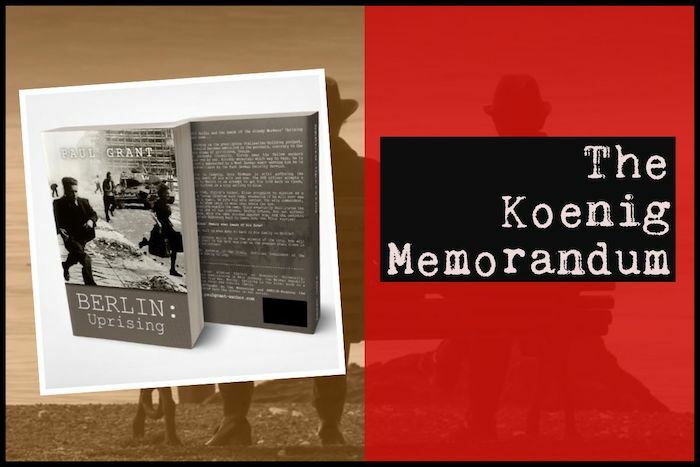 1940 finds Klaus Schultz, Ulrich’s father, working to survive a Russian work camp in Siberia. Sadistic overlords make survival, much less escape, a daunting proposition. Memories of his family and life outside the clutches of the Russians motivates him. Author Grant exhibits detailed command of Berlin and Germany’s landscape in the era. Not just factual details, but atmosphere, environment and nuance. I fell under the spell of 1940s and early ‘50s Europe, dreading the Russians as the Germans did. The Klaus family came alive for me, as did many of their experiences. Much of the suffering experienced by the German people at the hands of the Russians is apparent to the reader, though often it’s not clearly spelled out. Paul Grant’s writing is effective. His characterizations and brilliant descriptions bring the people, culture and backdrop of post-war Berlin effectively alive. I found Berlin: Uprising the best of his three books so far. It’s a taut, driving story, featuring ratcheting tension from beginning to end. Listen to the Paul Grant interview on the Cold War Conversations Podcast.